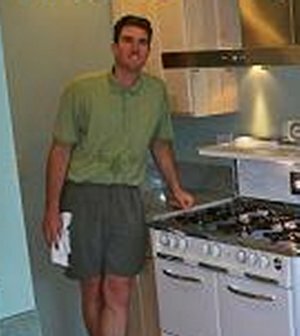 Reliance Appliance has been in business for over forty years in Berkeley restoring and repairing the beautiful and classic mid-century Wedgewood and O'Keefe & Merritt stove ranges. Matthew regularly takes service orders and has a bluetooth enabled truck to answer your questions while on the road. He will gladly employ resources and a limited number of technicians all over the greater Bay Area. Most reconditioned or replacement parts are carried in the vehicle to reduce a potential possibilty of redundant second trips. Your restoration includes a complete year's guarantee and we are eager to get the job done right according to your wishes. As of the 2012 retirement of the owner, Douglas has been succeeded by his son Matthew. Matthew reached master status with Sau Cooc well over twenty years ago. Matt leads the industry in refurbishments, maintenence, and employing chief technicians for the proper working of your kitchen treasure. Servicing your classic range throughout most of the greater bay area is our specialty. Reliance Appliance is still at maximum operation. Matthew has the esteemed vocation of maintaining this family tradition and upholds the reputation of the business. Click here to read more about Matthew on his yelp page.